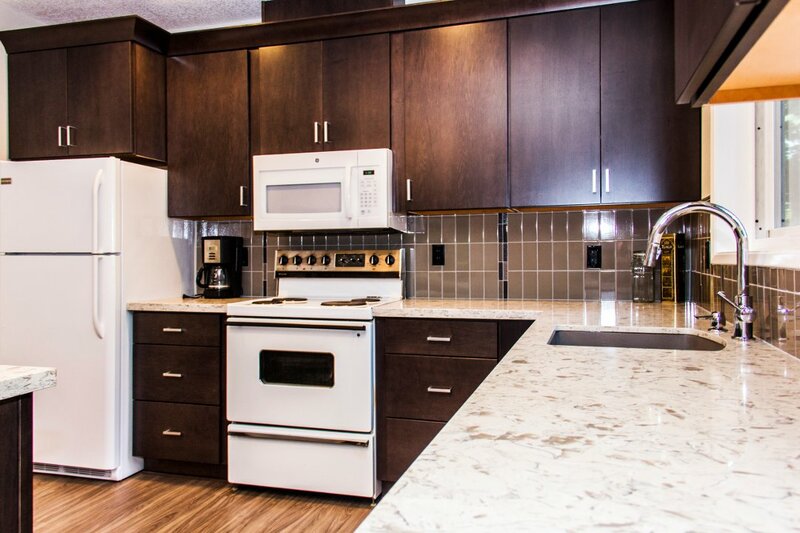 This kitchen was from a guest apartment, and was in serious need of an update. The U-shape was causing some traffic jams, and the cabinetry wasn’t too functional, either. 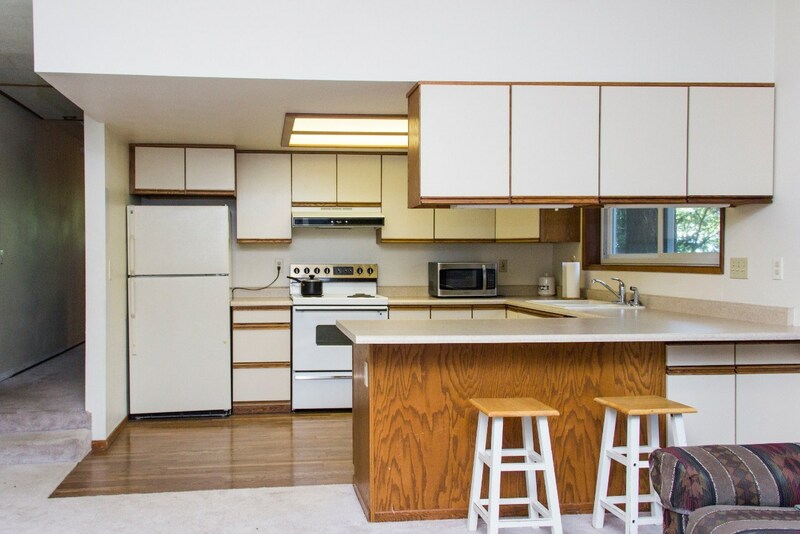 This 1990s kitchen has aged about as well as frosted tips and hammerpants. The biggest change is that we removed the drop ceiling. Combined with the new lighting, the kitchen area is much lighter and has much more room. When you’re trying to save every penny but still want the luxury of quartz, picking a lesser-known quartz brand such as TCE can save you as much as $400 a slab over the name brands. The colors can be somewhat generic but if you find something you like and it saves you money, why not go with that option? We’ve been going to Schrock for our pre-built cabinets for years now. Their boxes are solid plywood, which makes for stronger and lighter cabinetry set. Cabinets made from particle board might be inexpensive, but we’ve found that it just isn’t worth it. Jane’s new cabinet set brings her out of the 90’s, and it’s looking good! 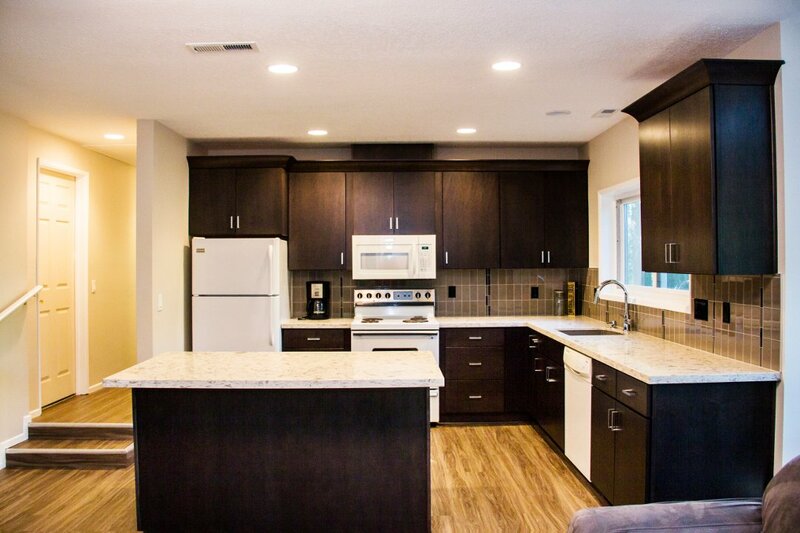 Luxury vinyl flooring is a good choice for a kitchen, and not just when you’re trying to save money. It is waterproof and sturdy, and has no problems standing up to the abuse of a working kitchen. This particular flooring is Pumilla elm from the Castle & Cottage collection by Hallmark. 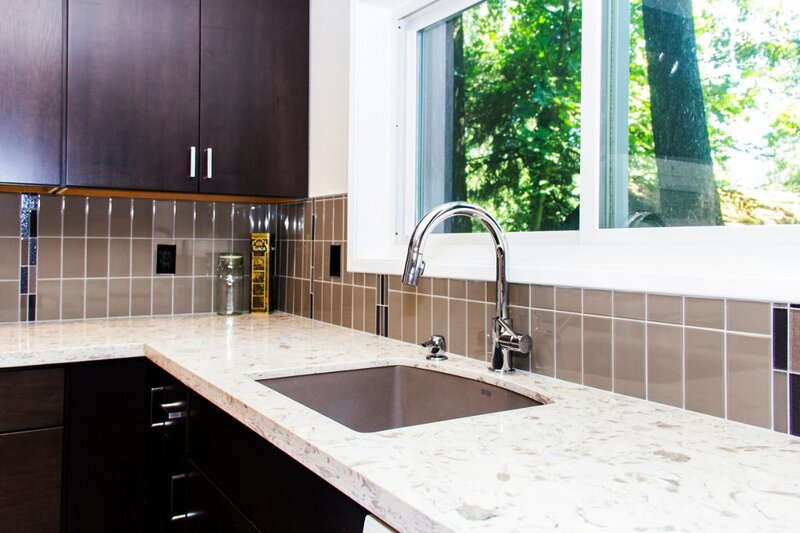 Do you know how far your kitchen remodeling budget will take you?